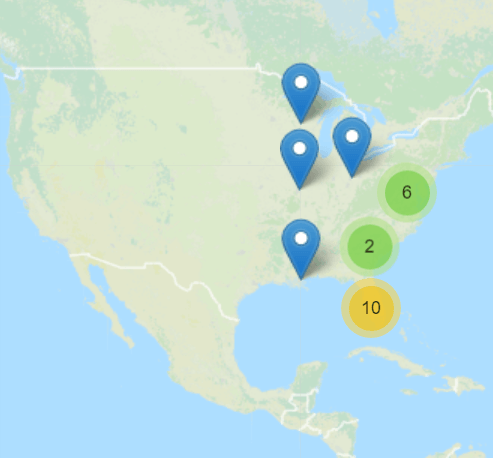 Geocoding is the process of assigning a location, usually in the form of coordinate values, to an address by comparing the descriptive location elements in the address to those present in the reference material. Addresses come in many forms, ranging from the common address format of house number followed by the street name and succeeding information to other location descriptions such as postal zone or census tract. In essence, an address includes any type of information that distinguishes a place. 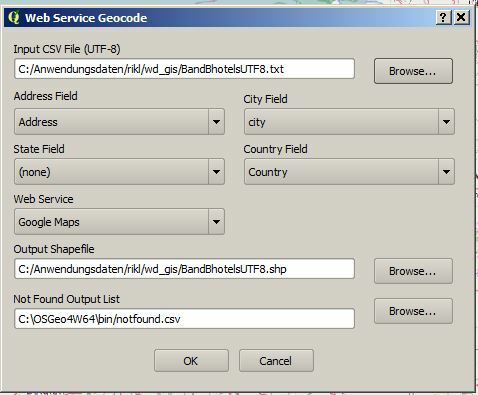 Some of the APIs that offer those services are from ESRI, HERE, GoogleMaps, Nominatim (based on OpenStreetMap) or Geonames and many more… In this post I’ll show how to geocode addresses in QGIS, ArcGIS and Leaflet. 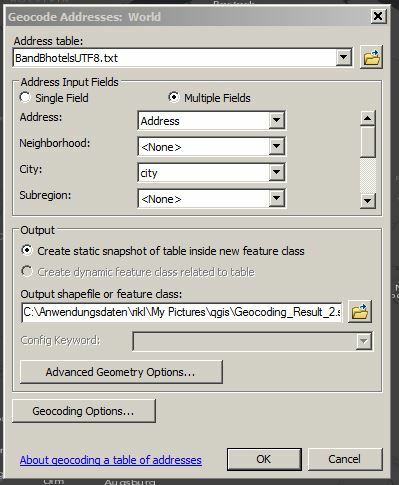 There are two plugins in QGIS that can be used for Geocoding: MMQGIS and Geocoding. Let’s state it: A very basic plugin with limited functionality. 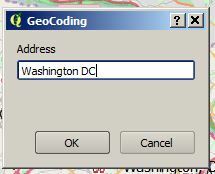 You can geocode one address at a time and the result is placed as a one-point layer in QGIS and reverse geocode a point from the map using Nominatim or GoogleMaps (be aware of the EULA of GoogleMaps geocoding…). If there are more than one location the plugin will inform you and let’s you choose the proper entry. 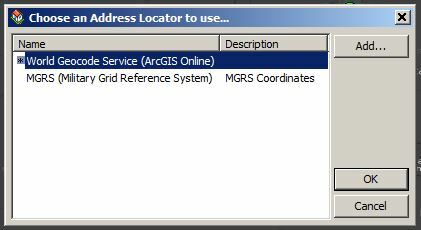 Reverse Geocoding can be accessed via Plugins->GeoCode->Reverse GeoCode. Then you click a location on your map and it will show the address in a popup. Unfortunately that does not work in every Coordinate Reference System (CRS) as I was trying it with EPSG:31467. MMQGIS is a set of Python plugins for manipulating vector map layers in Quantum GIS: CSV input/output/join, Geocoding, Geometry Conversion, Buffering, Hub Analysis, Simplification Column Modification, Color Ramps, and Simple Animation. MMQGIS provides an alternative to the native QGIS vector plugin set and Sextente, with verbose progress reporting, an intuitive user interface, direct shapefile/CSV-file access, and some additional capabilities missing from other plugin sets. You will need an ArcGIS online account for this action and the price is 40 credits per 1’000 geocodes. I’ve also written a tutorial on how to get coordinates for addresses with Python for free. There are other plugins like opencage or Geocoder.